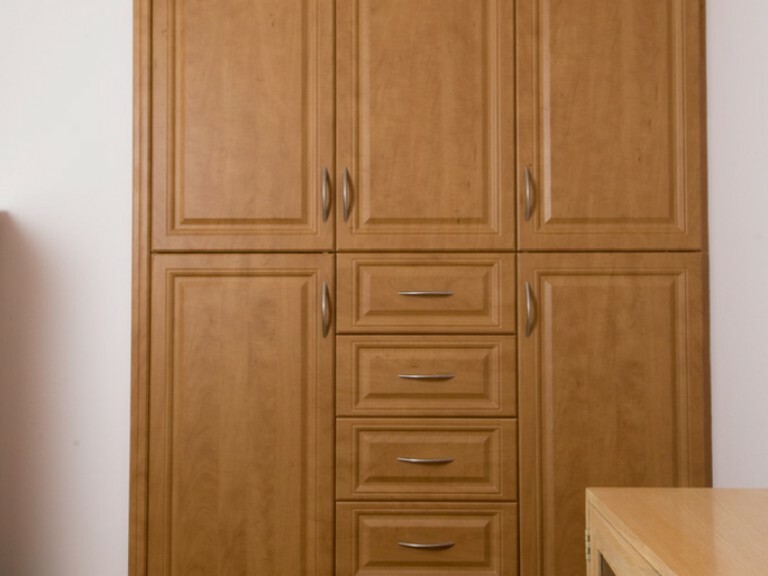 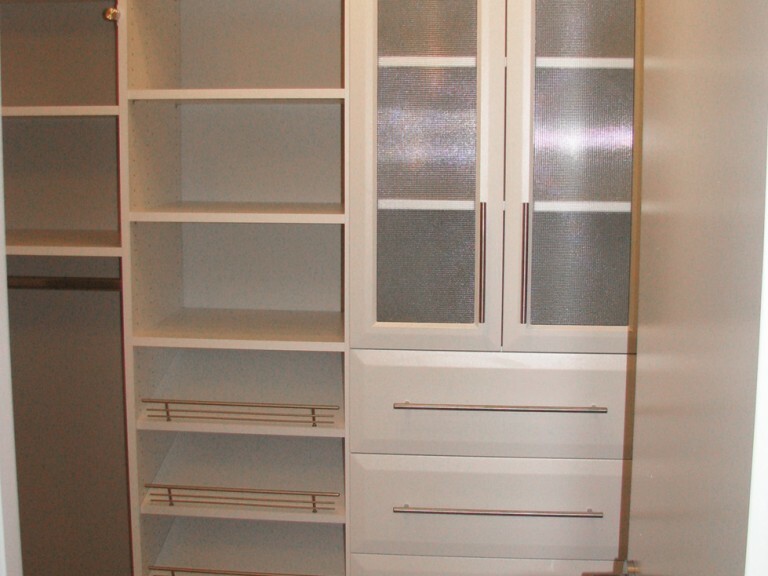 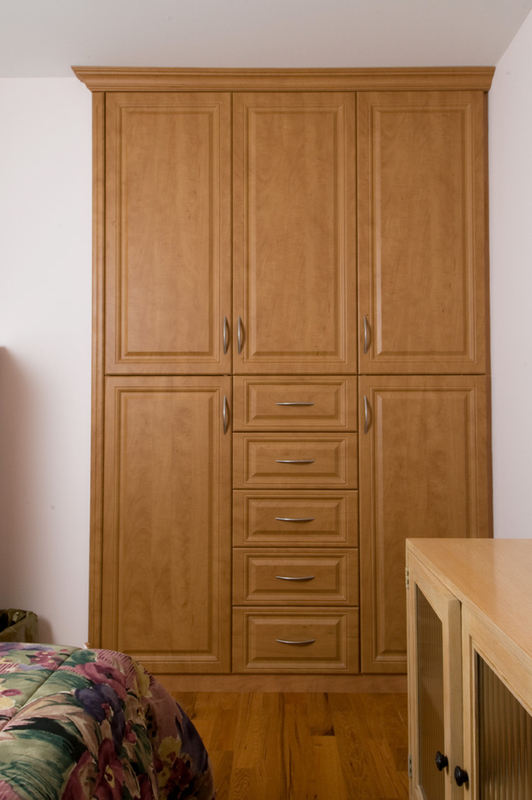 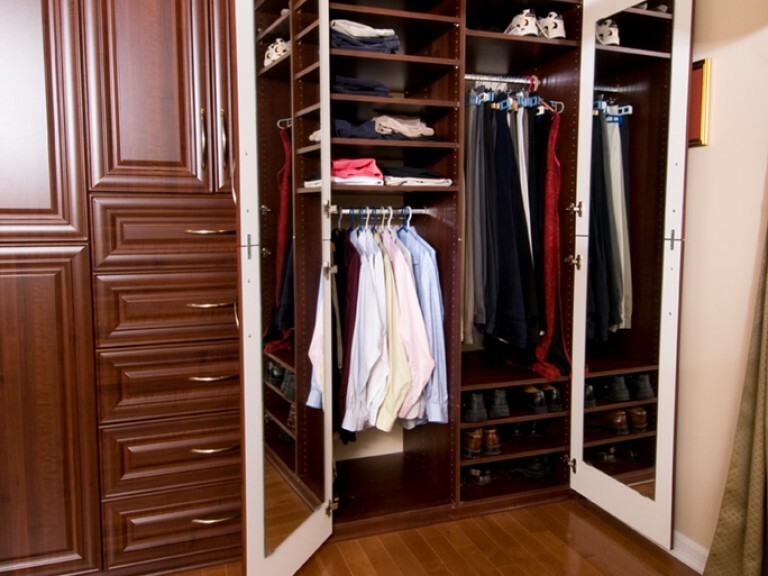 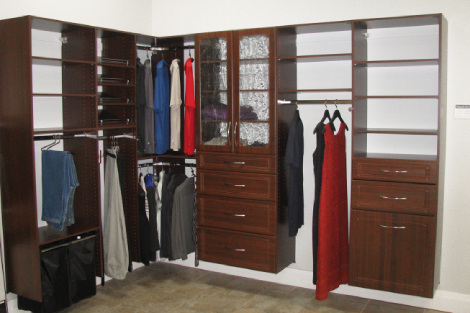 Wardrobe Units are closets that look like a piece of furniture in a room. 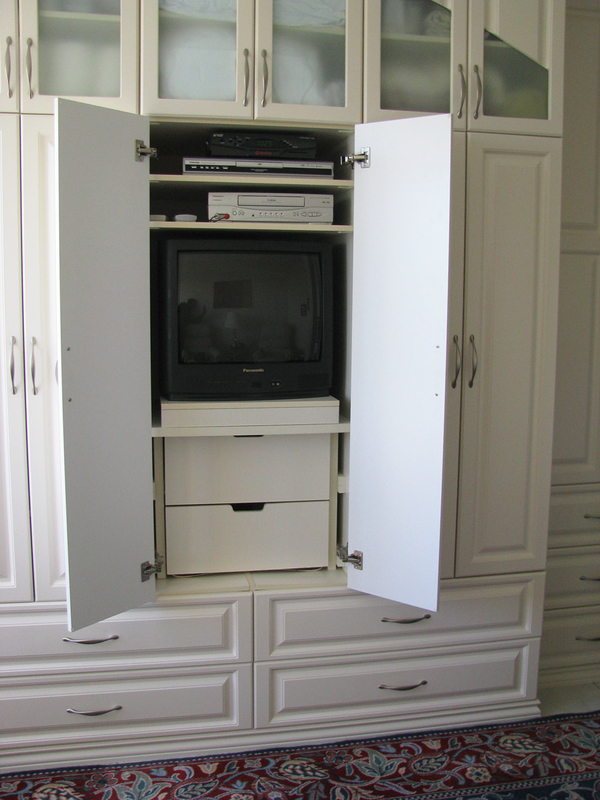 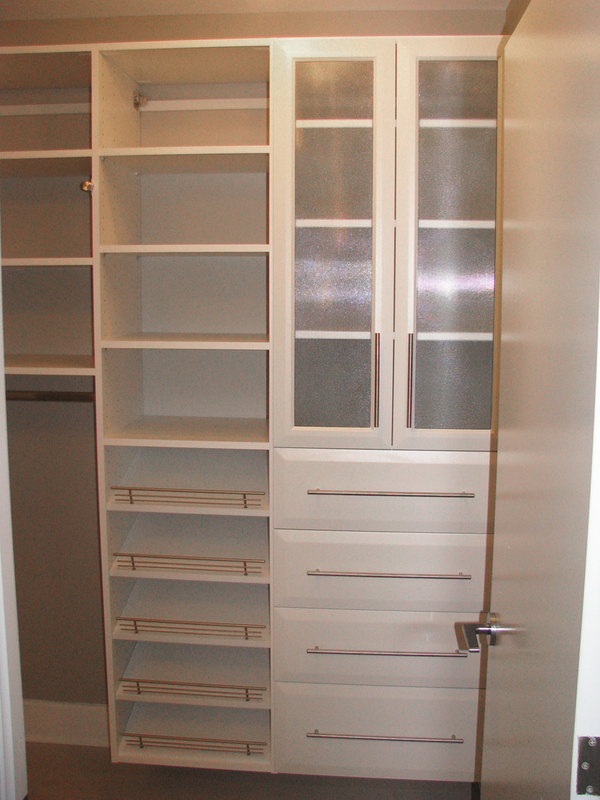 They are enclosed, and what shows when the unit is closed is simply the door and drawer faces. 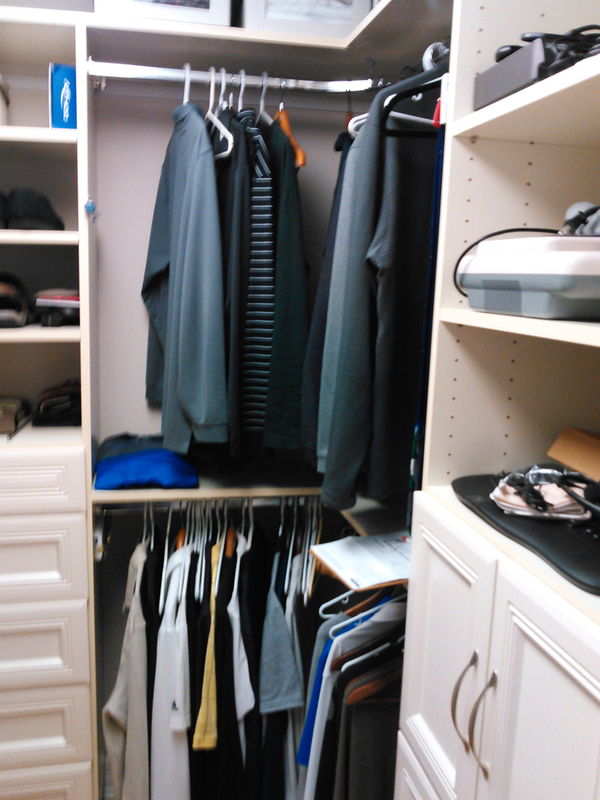 When opened, you see this amazingly organized space where every inch is used or usable. 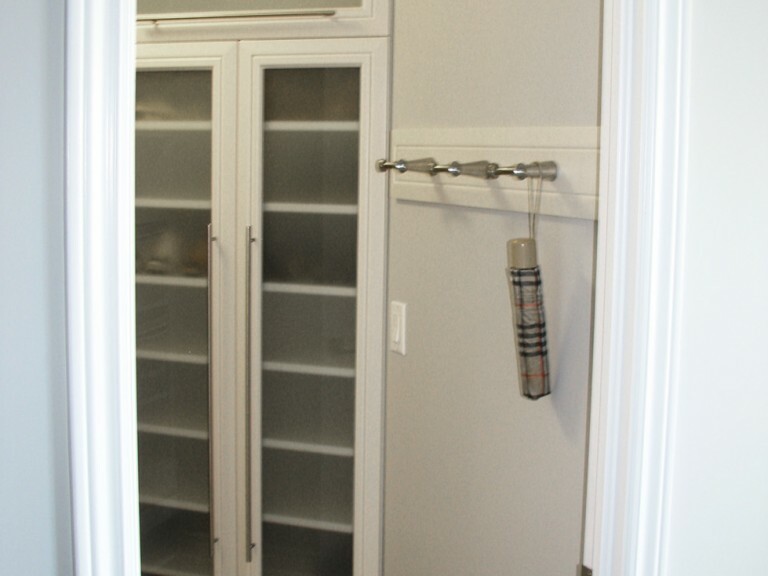 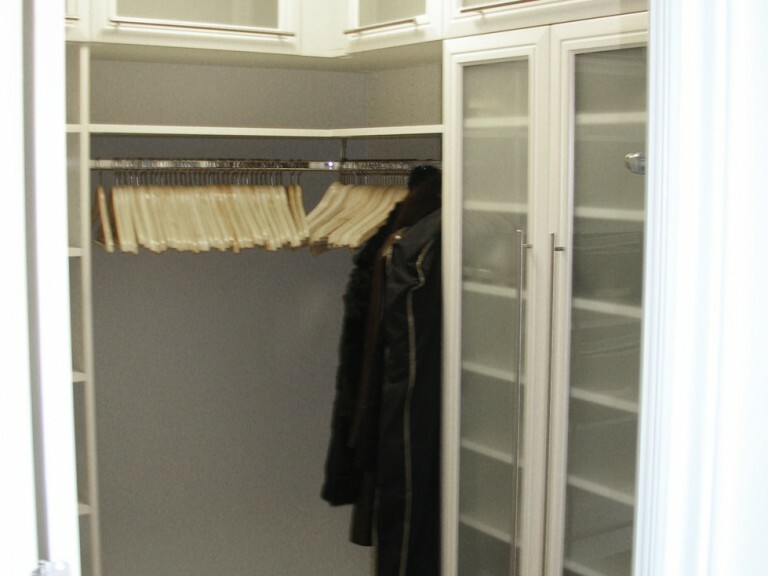 There are hang rods, shelves, jewelry drawers, shoe storage, spaces for scarves, belts, ties, and so much more…all having been designed with you in mind! 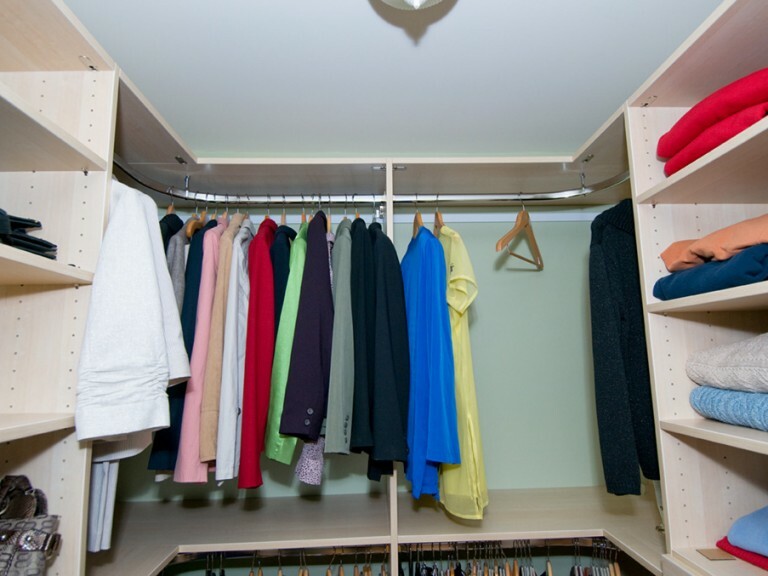 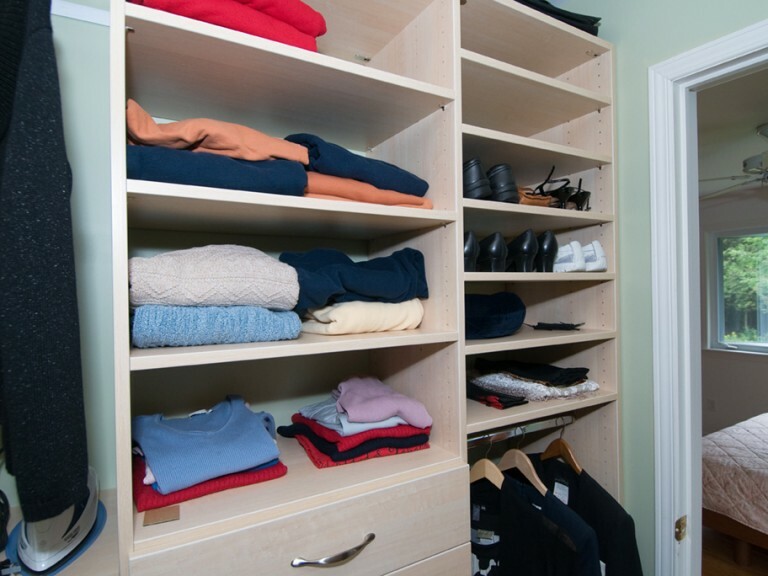 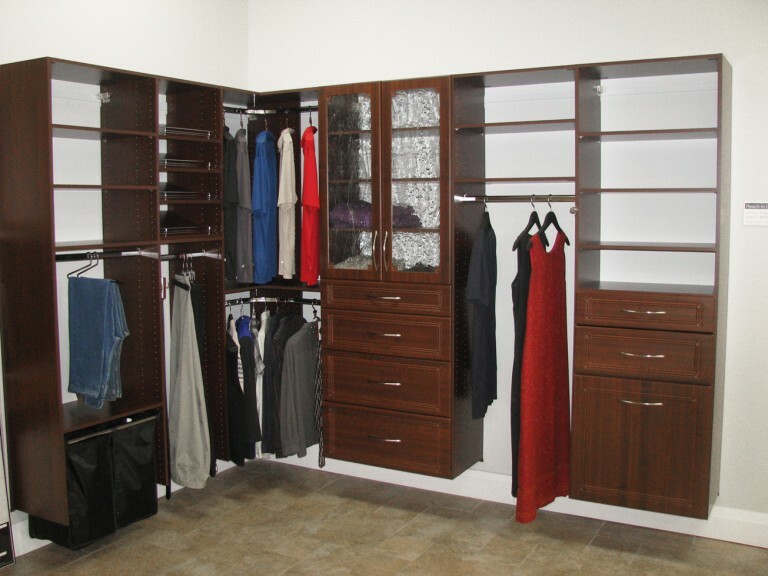 As the name implies, walk-in closets are rooms where you walk into, and where anywhere from two to all four walls in that room are transformed into closet space. 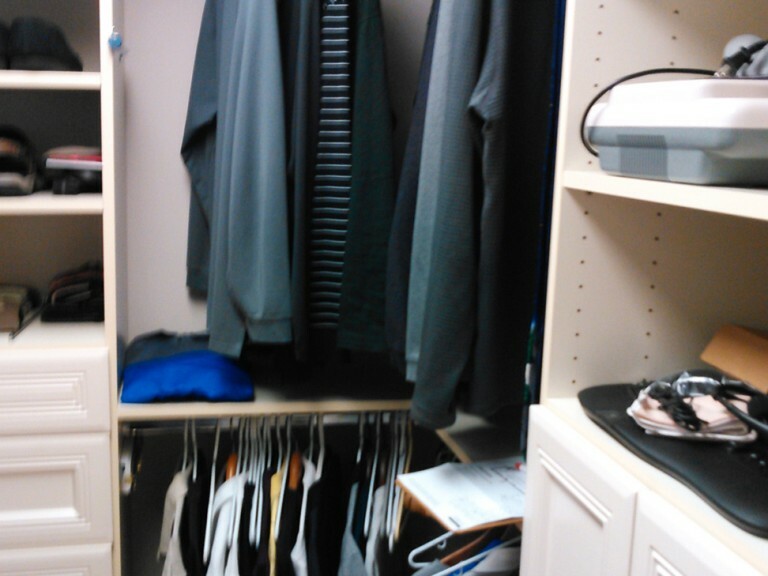 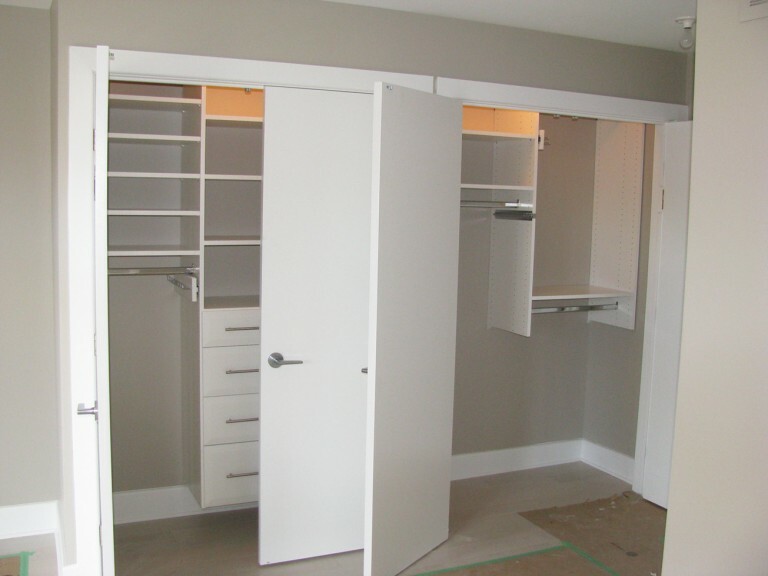 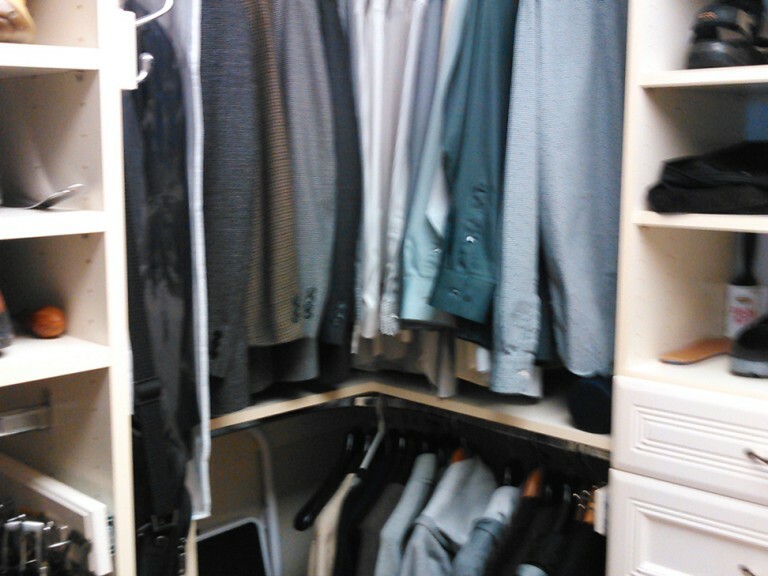 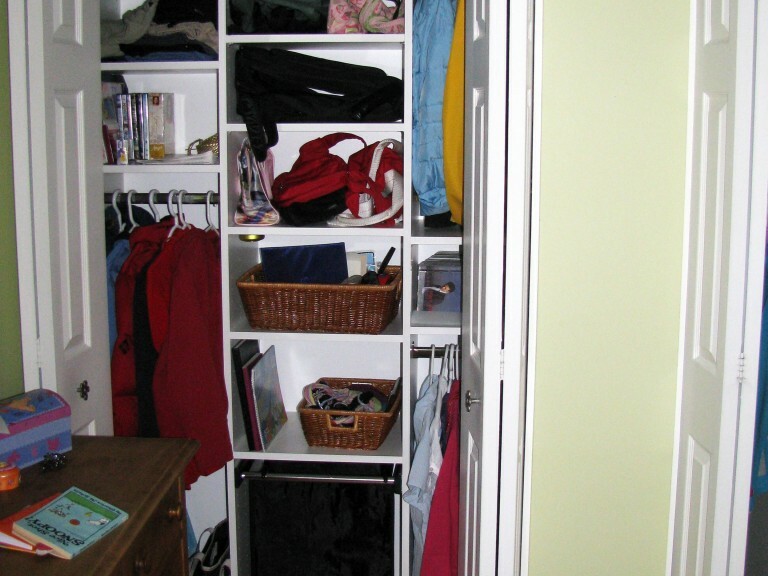 Often there’s a door to the closet that can be closed when needed, though many times it’s left as an open concept area. 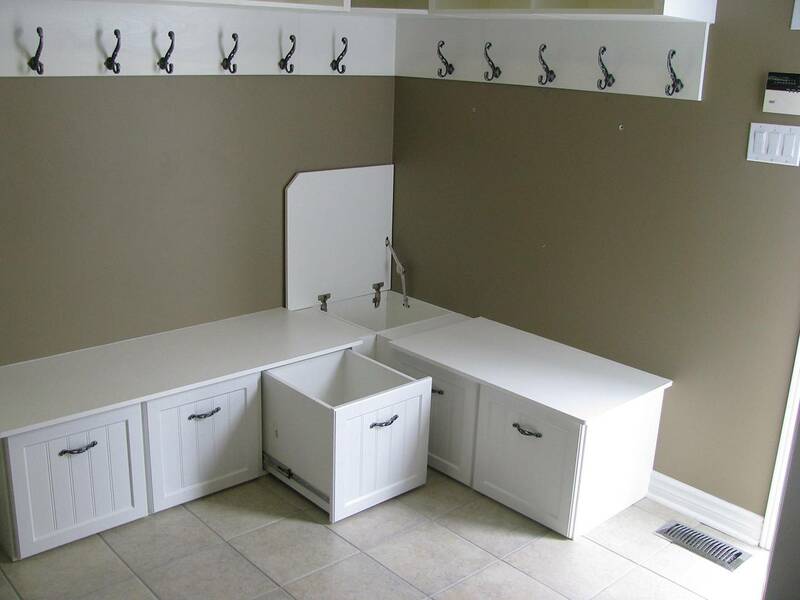 If this space is large enough, what many people choose to do is add an island in the center complete with beautifully covered benches. 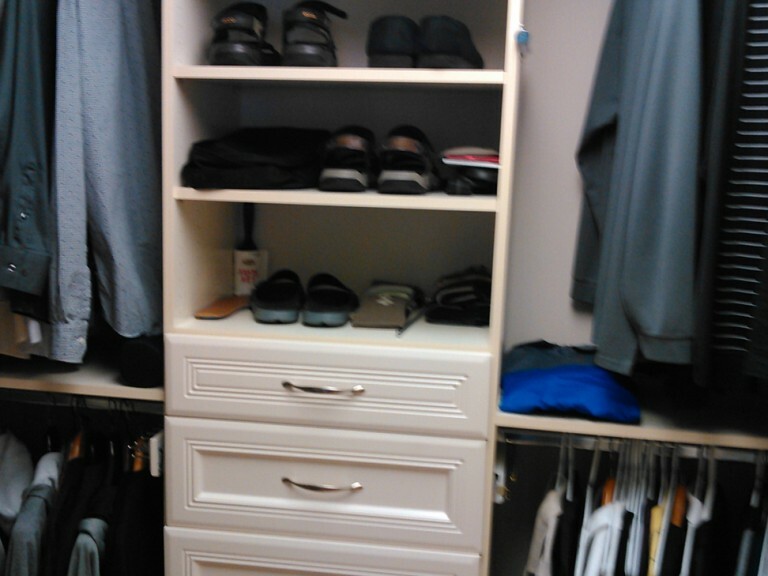 This island gives additional drawer space and provides a surface for laying out clothes, etc. 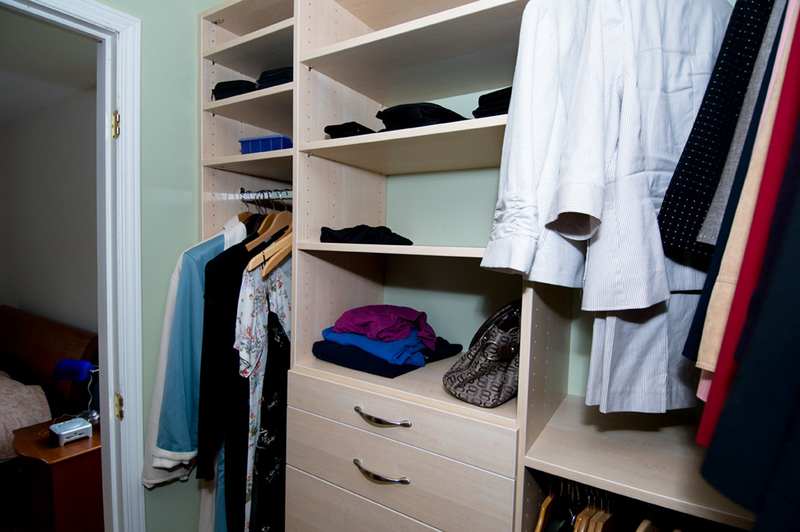 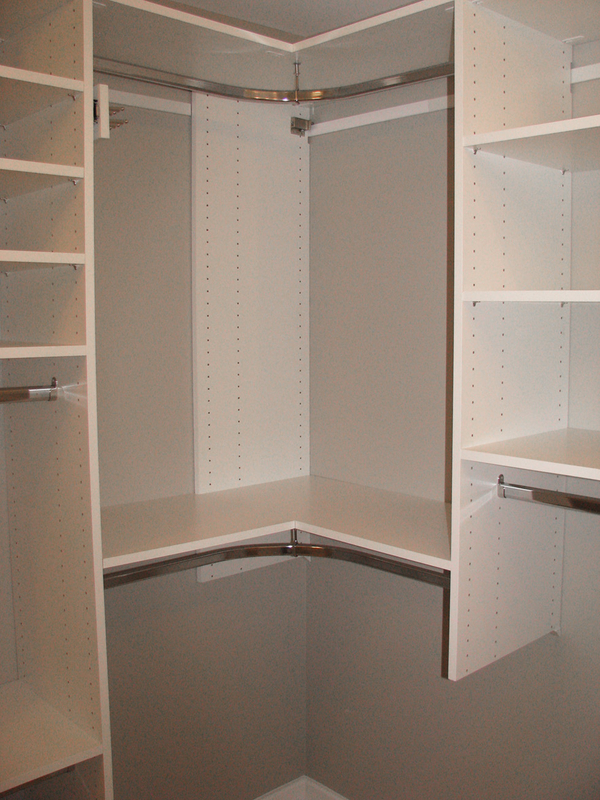 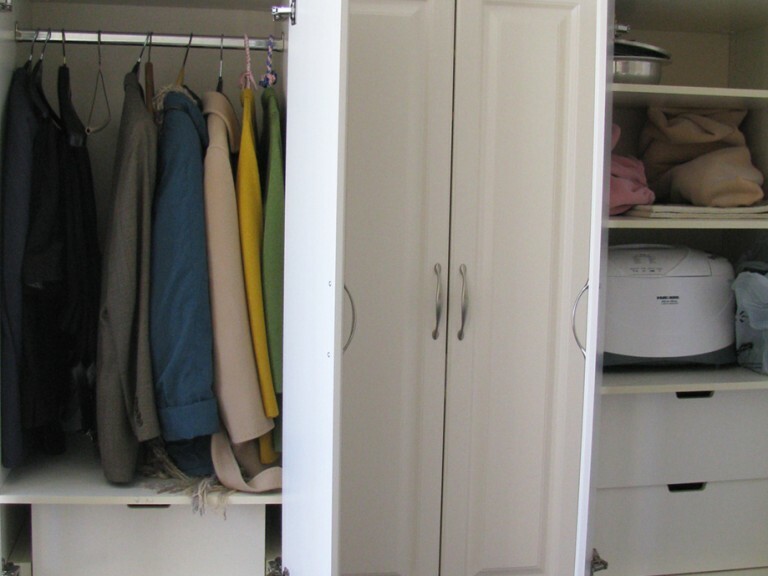 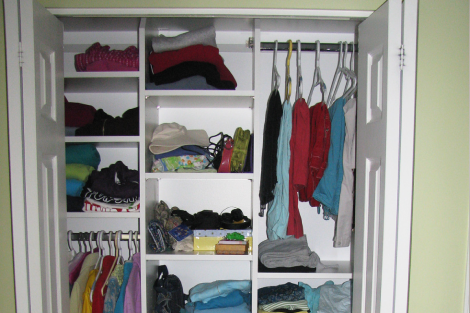 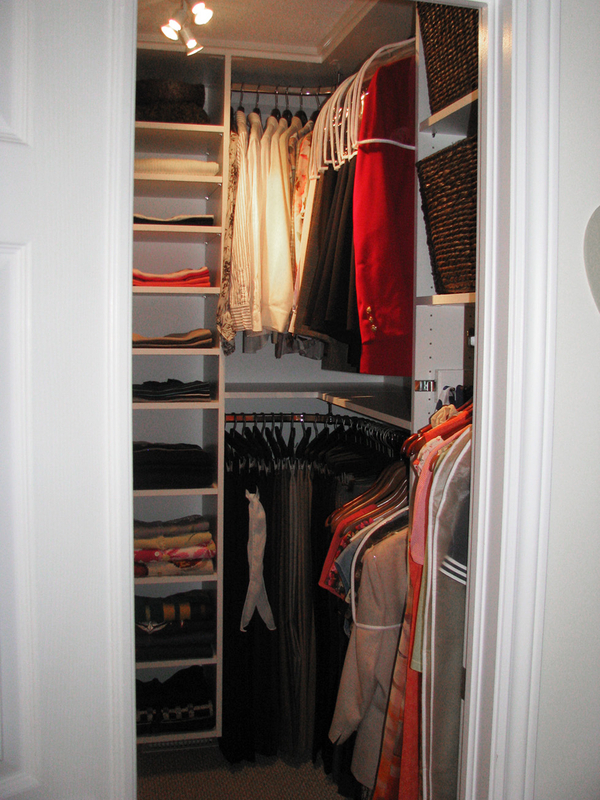 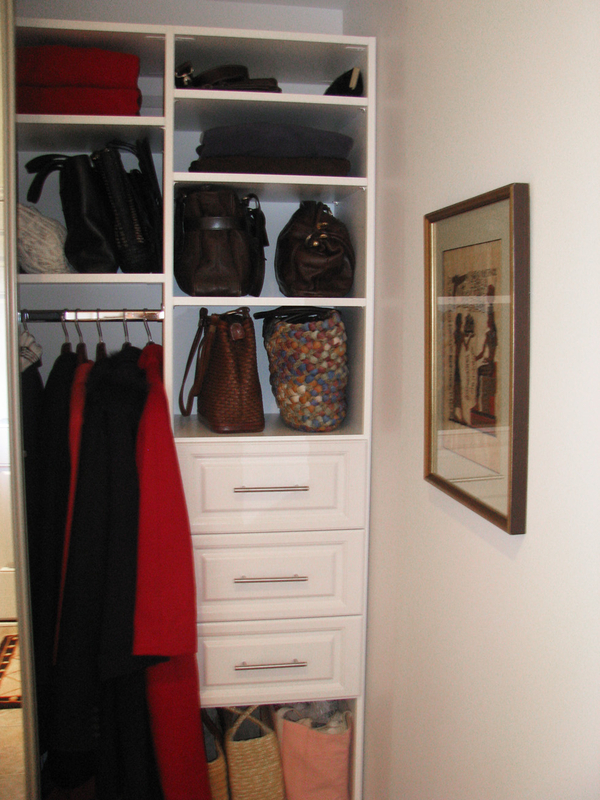 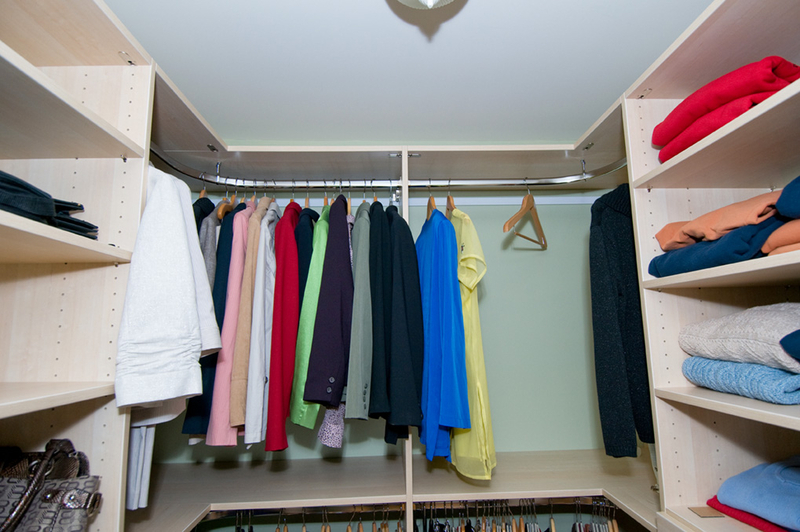 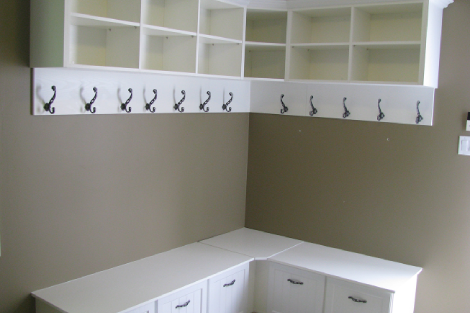 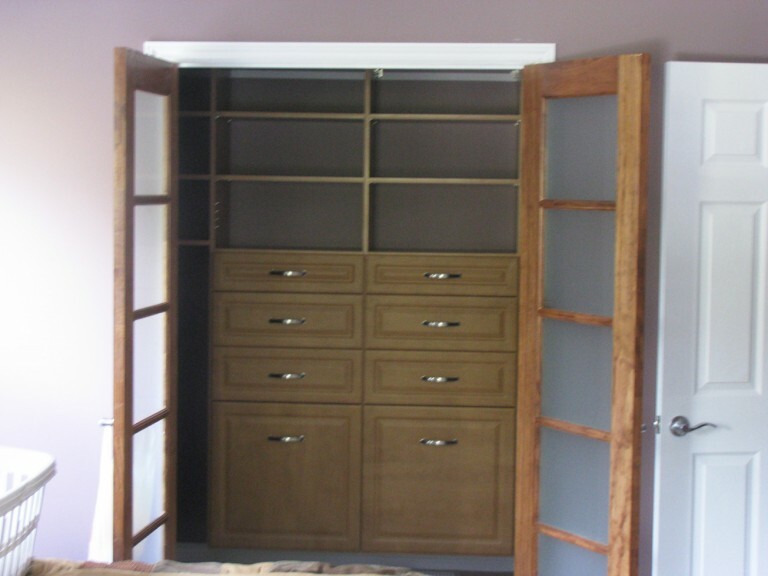 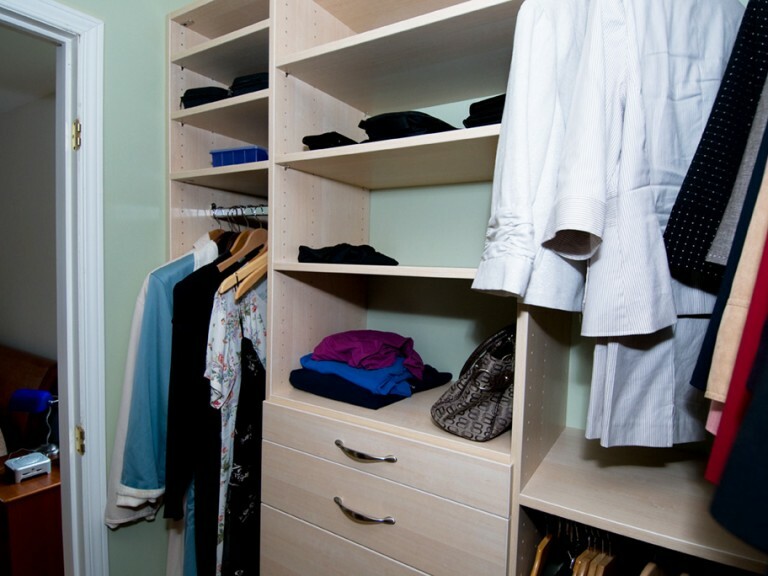 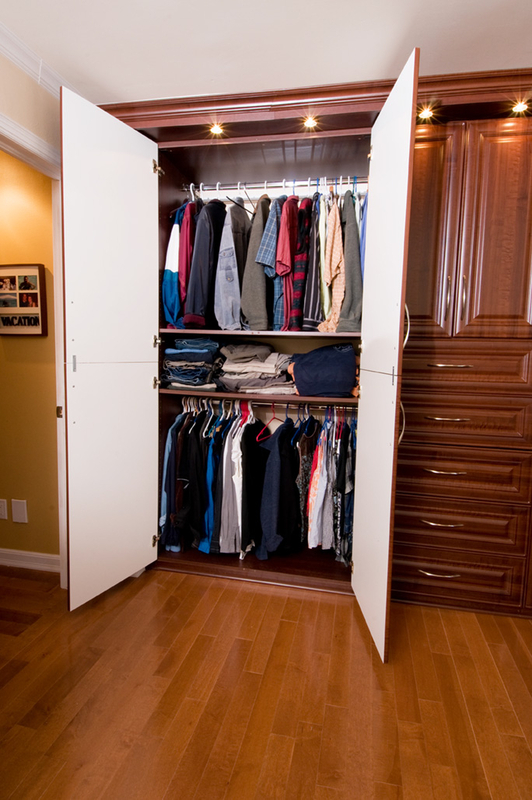 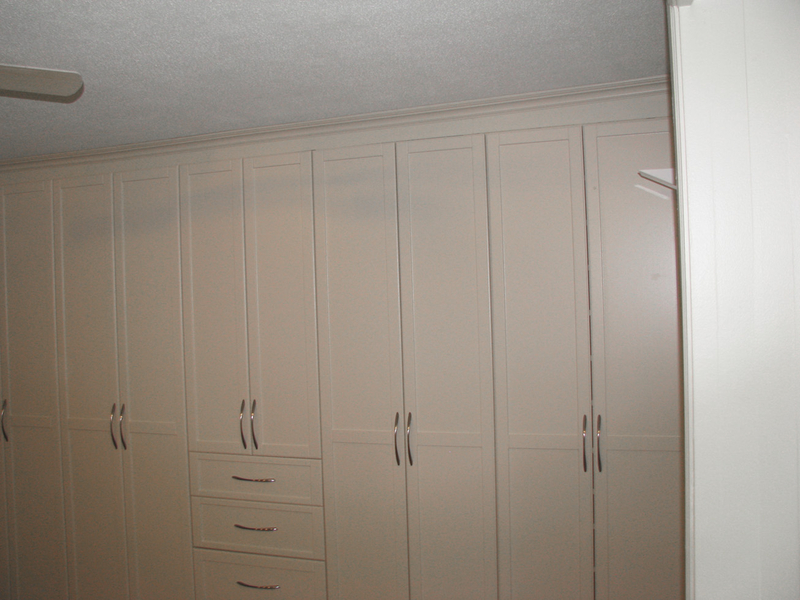 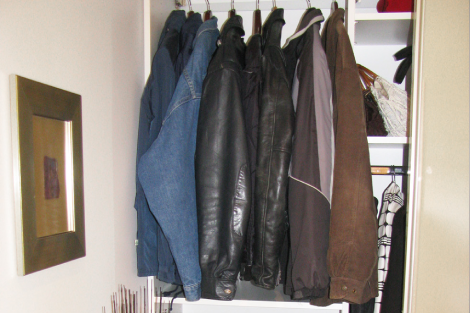 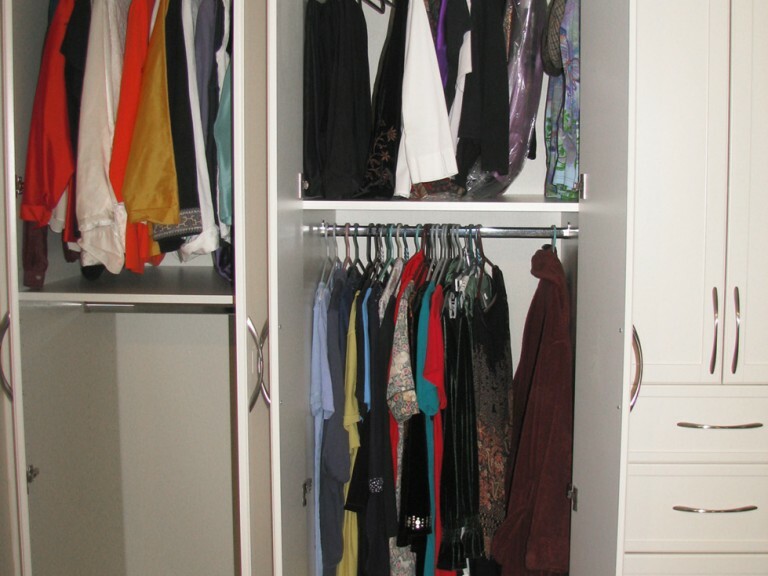 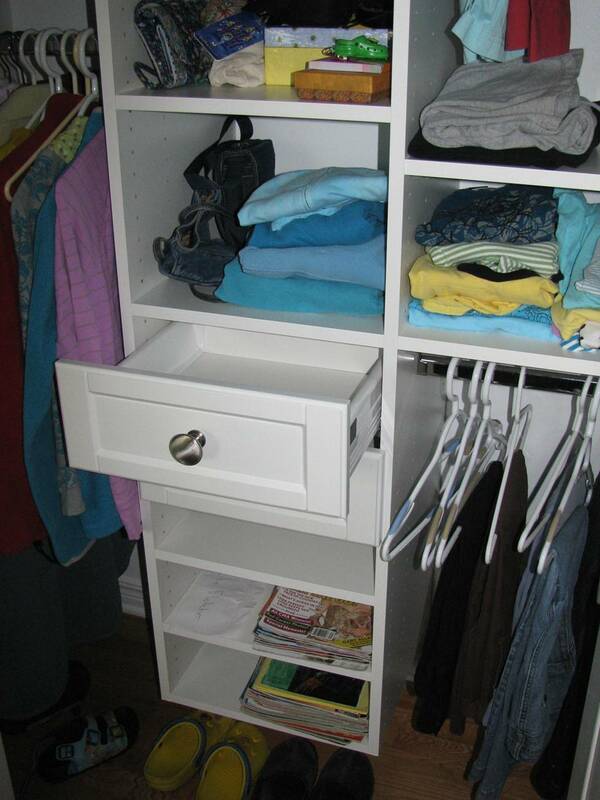 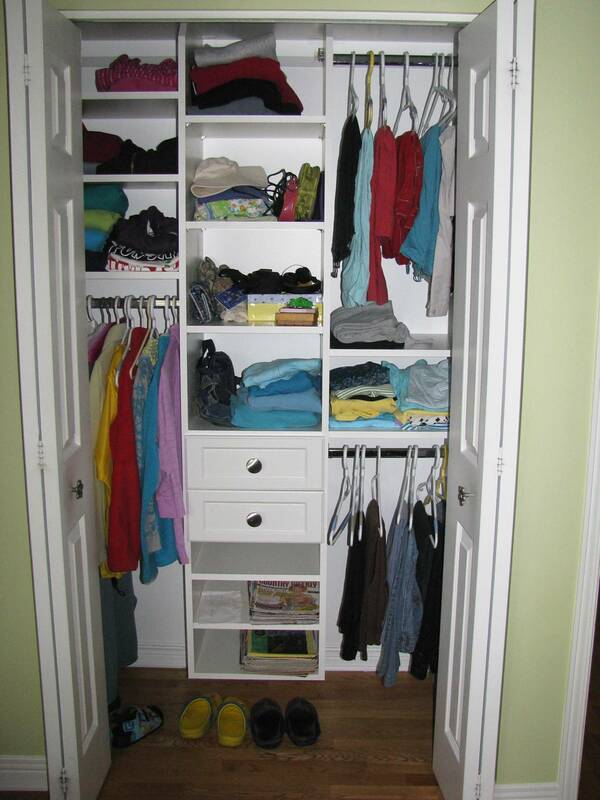 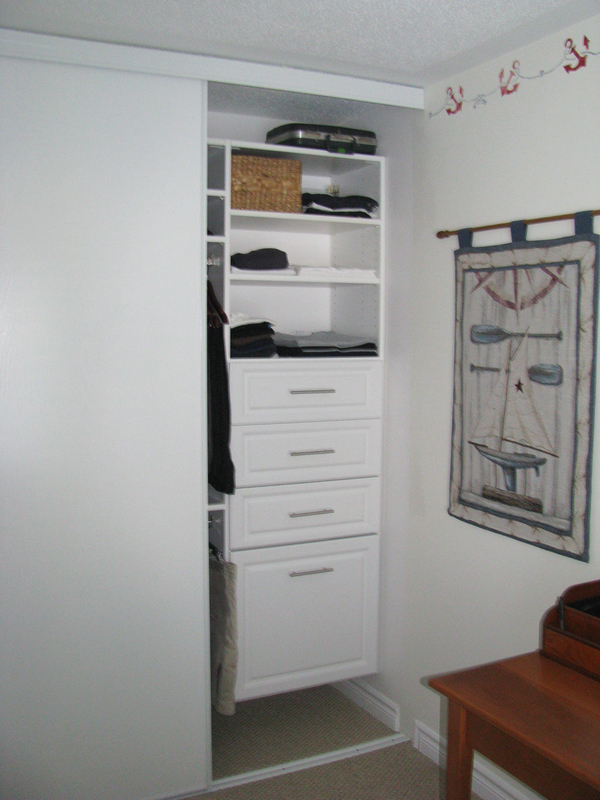 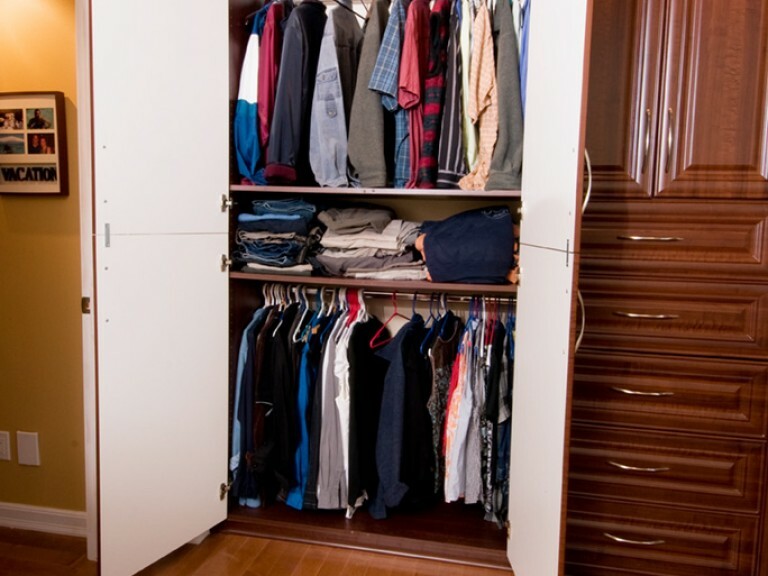 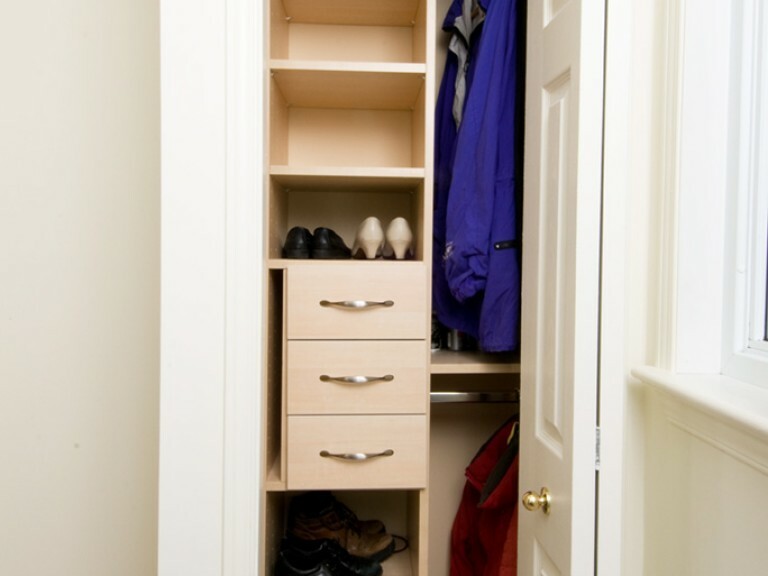 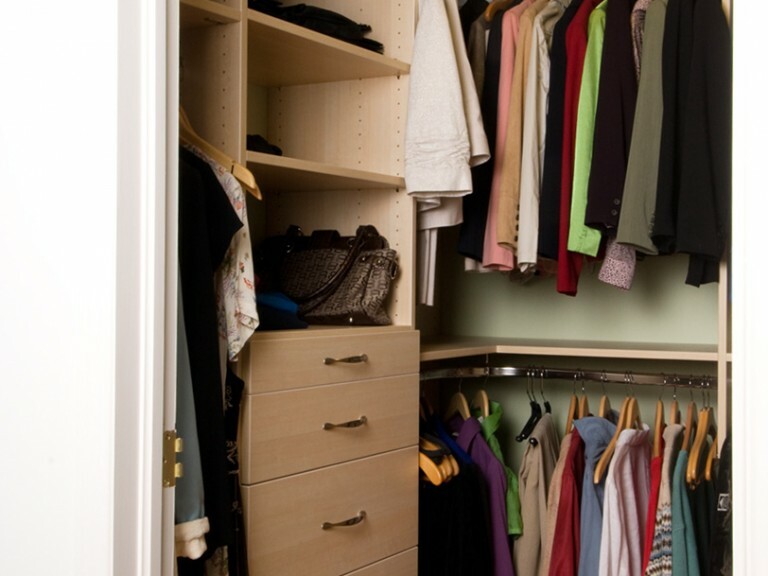 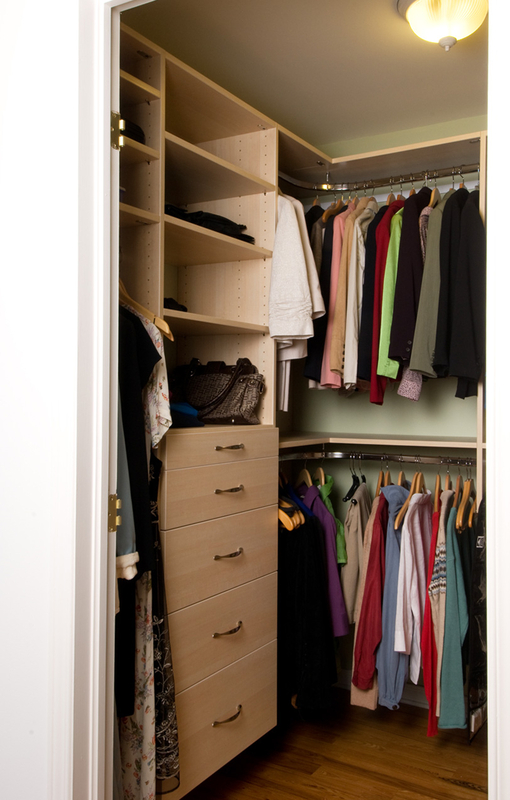 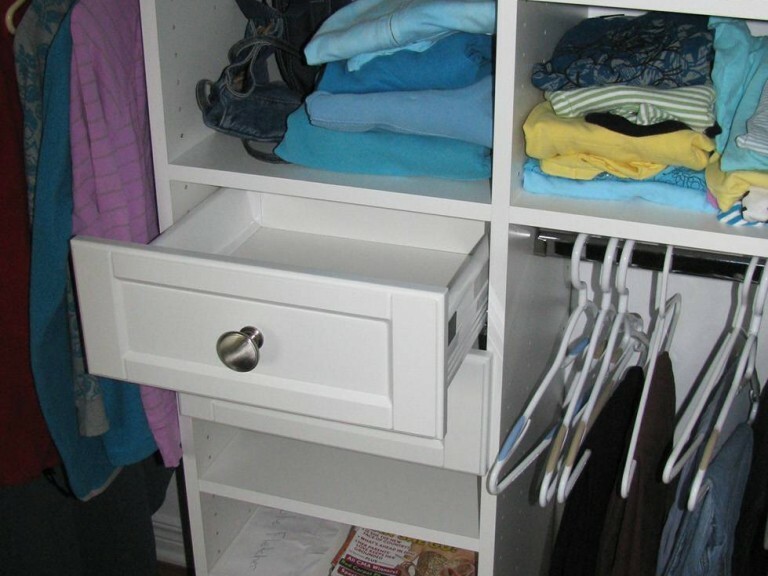 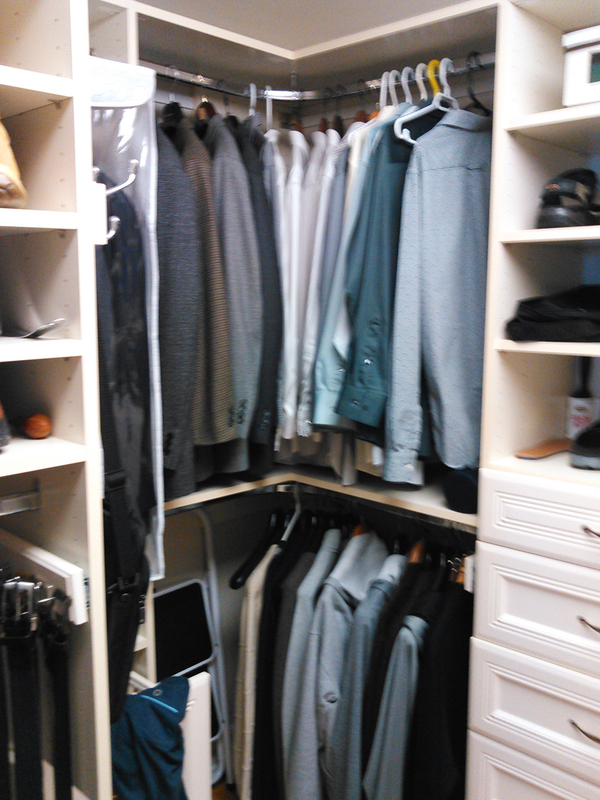 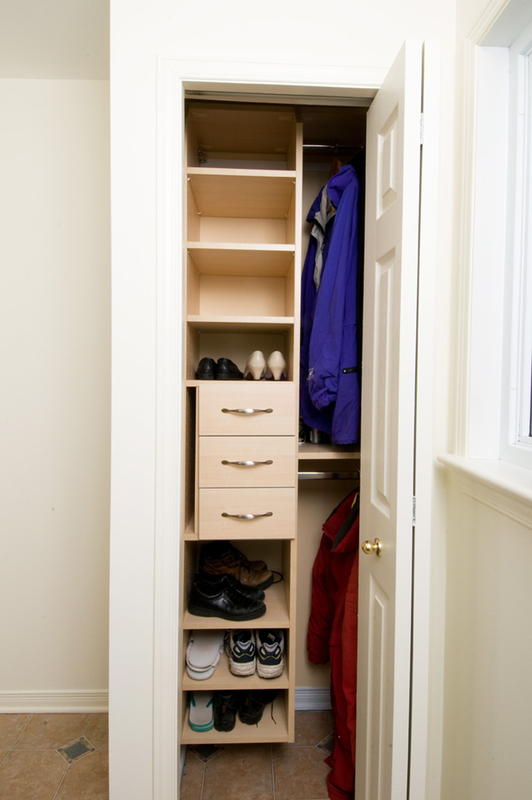 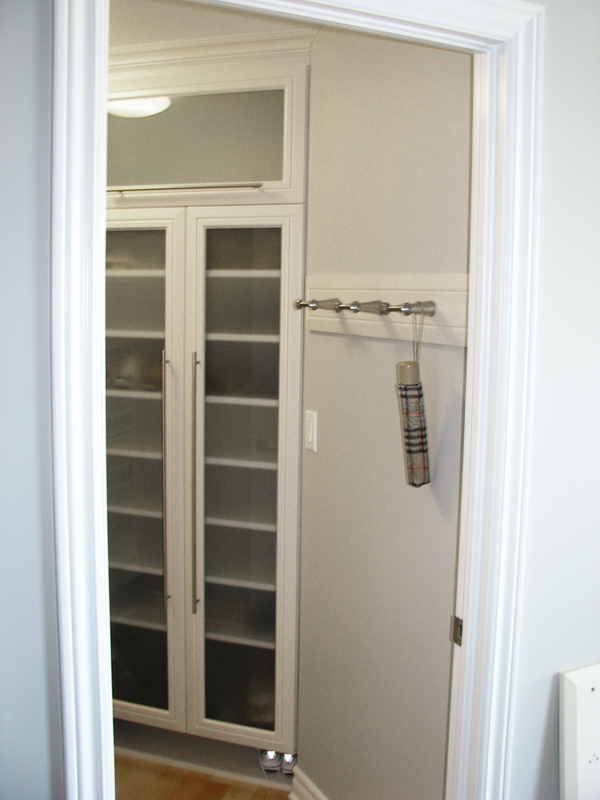 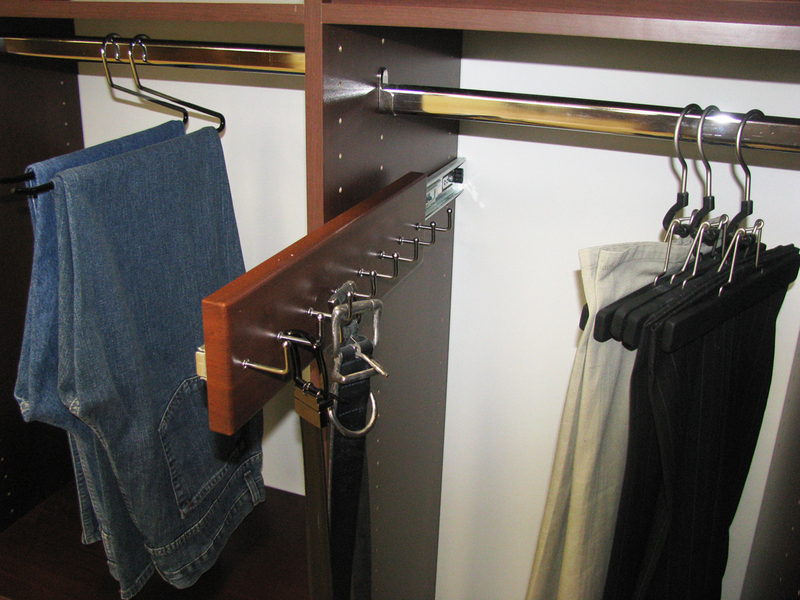 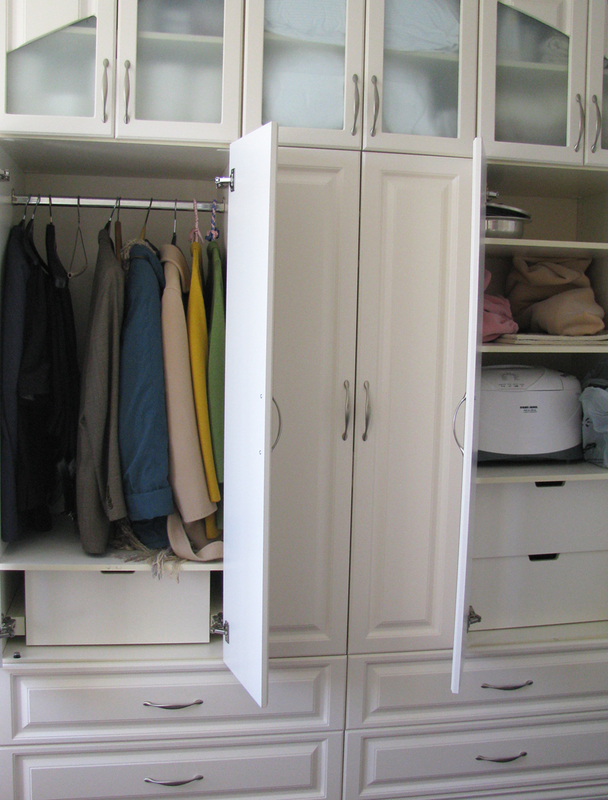 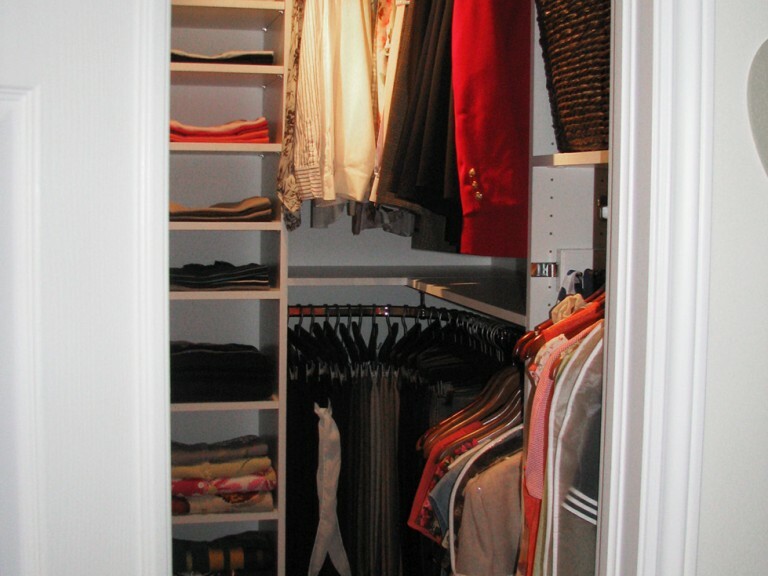 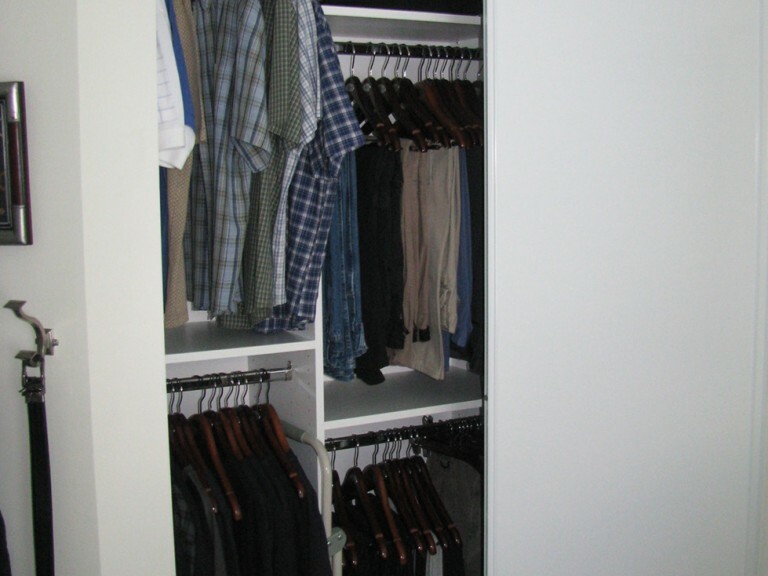 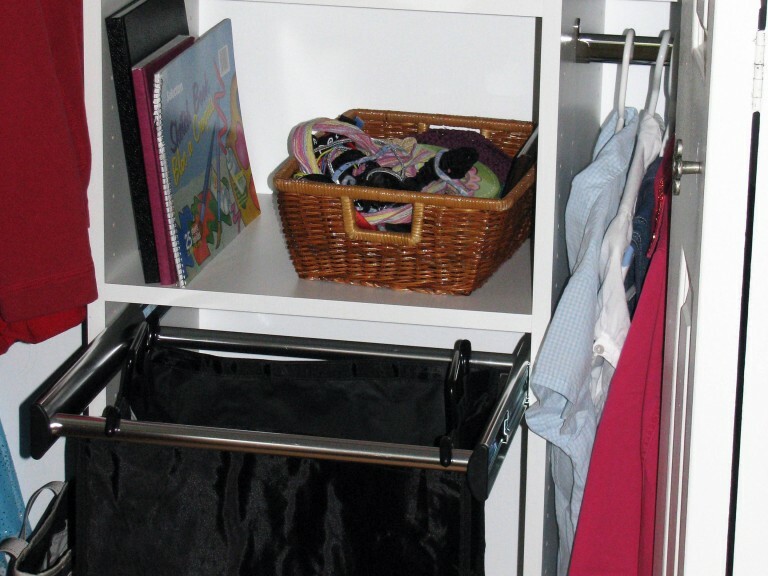 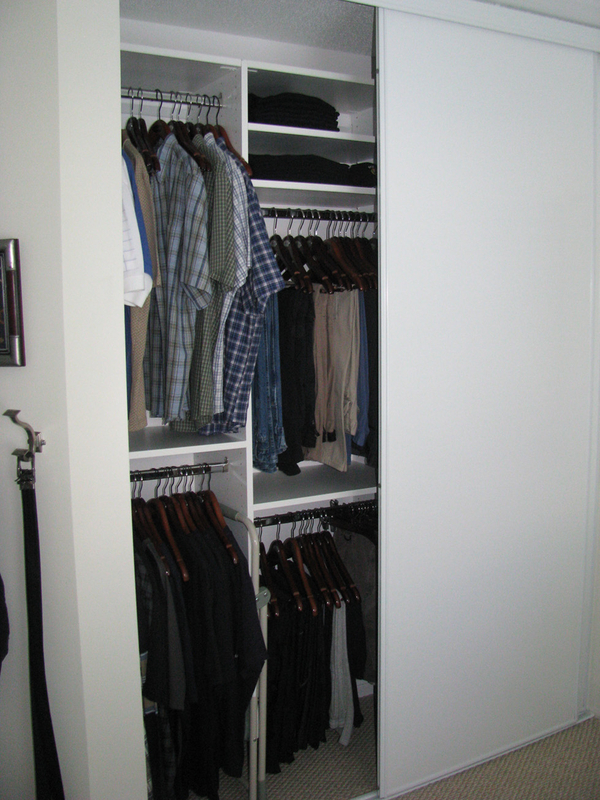 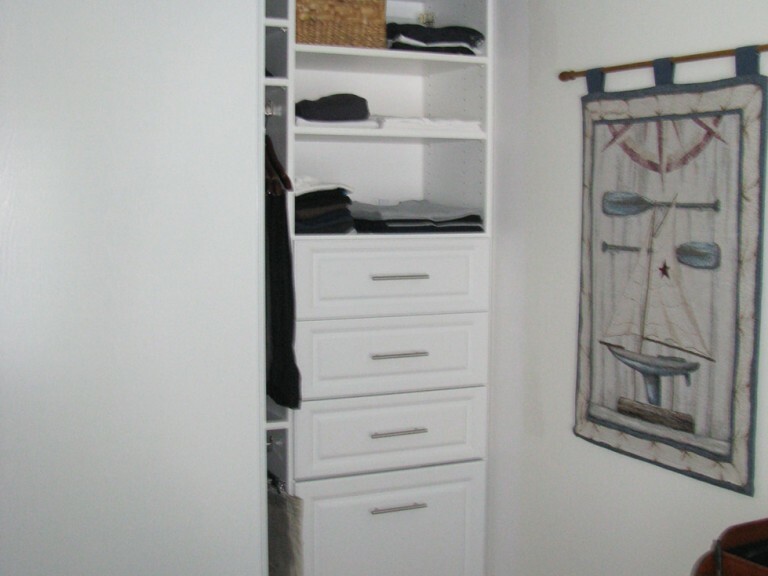 Reach-In closets are the most common closet type and are found in pretty much every home. 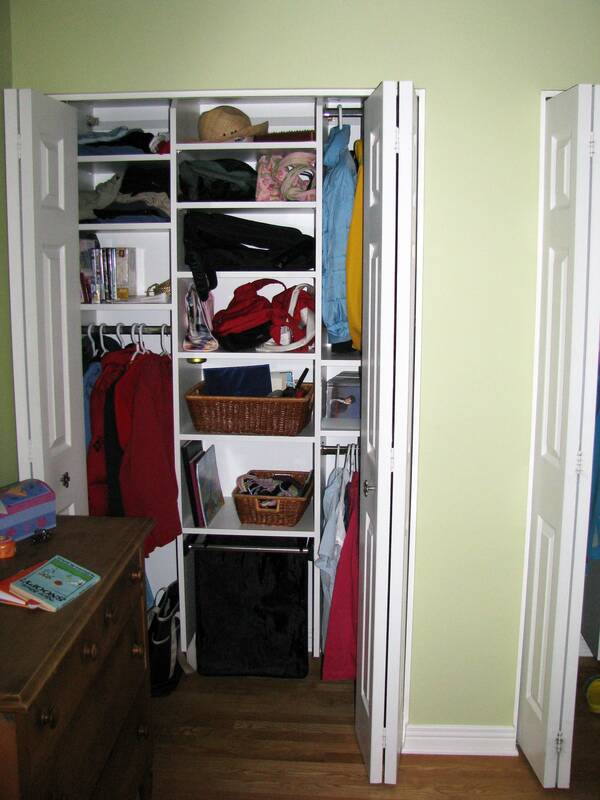 For example, hallway closets tend to be reach-in. 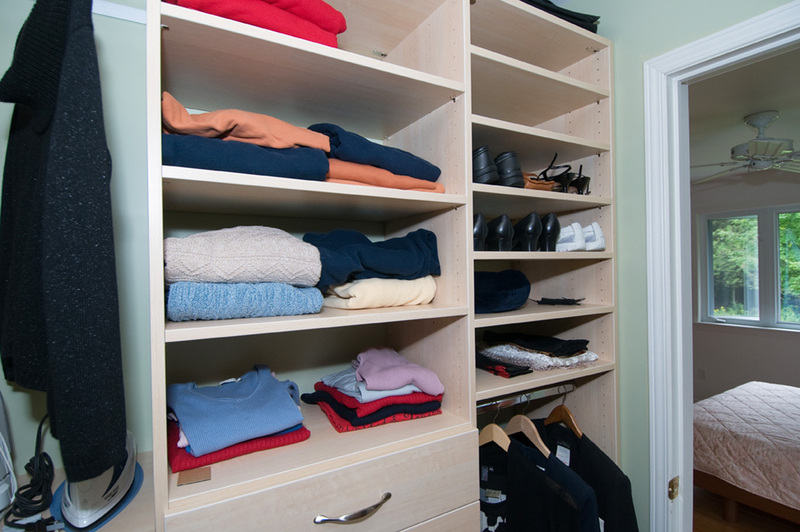 There are usually hanging space for coats and jackets, shelves and/or drawers for other items such as hats and gloves, as well as space for shoes and boots. Often there are doors that shut when not in use…though some prefer no doors. 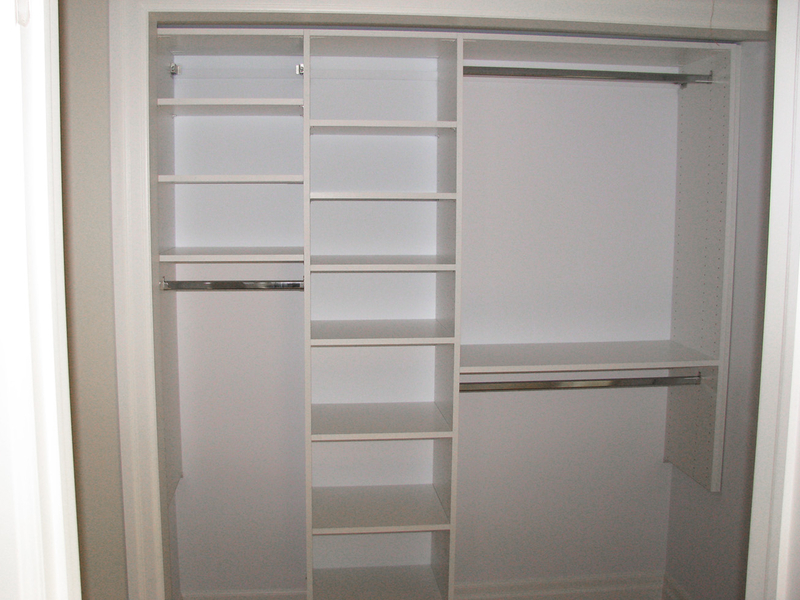 Basically, it’s a closet type where you simply “reach-in” for what you need. 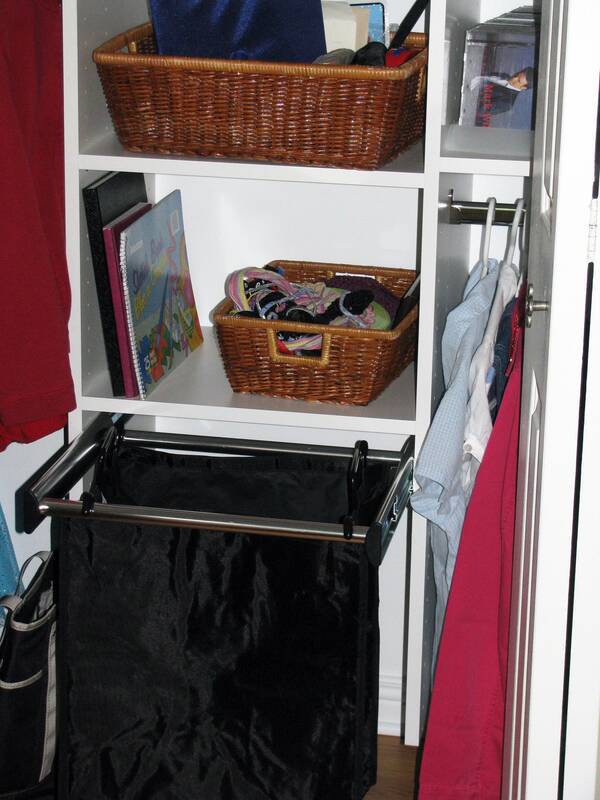 Many parents comment about children not putting away their clothes, toys, and books, without really realizing that children also need proper spaces to put these things. 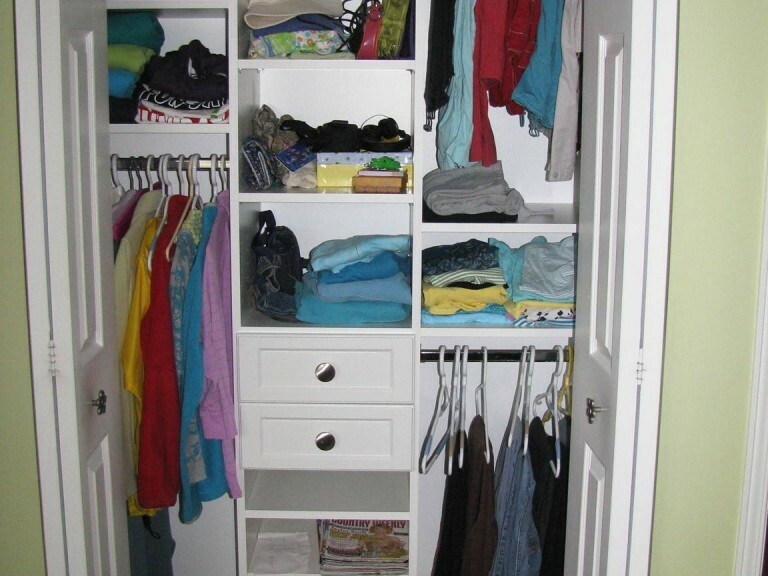 That is an important first step to helping kids develop some organizational skills early in life, with the added bonus of (hopefully) a little less work for you! 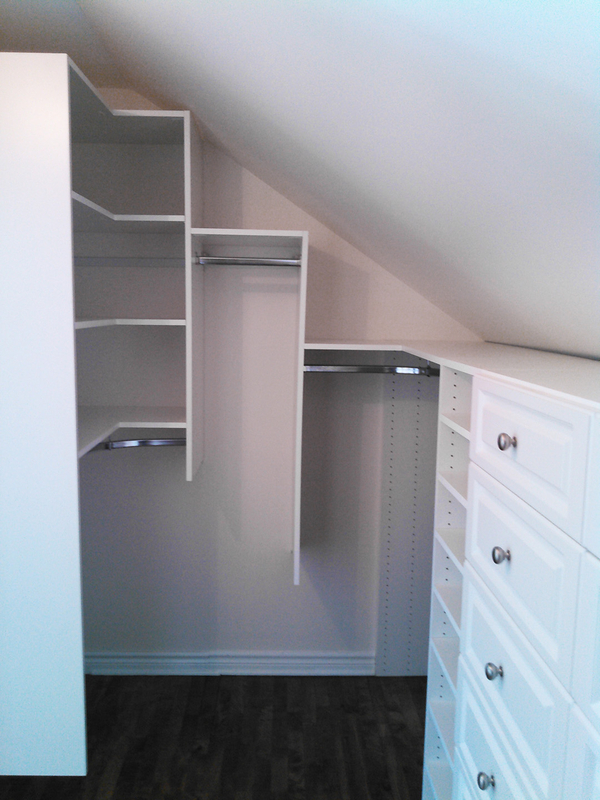 Children's closets come with an additional challenge. 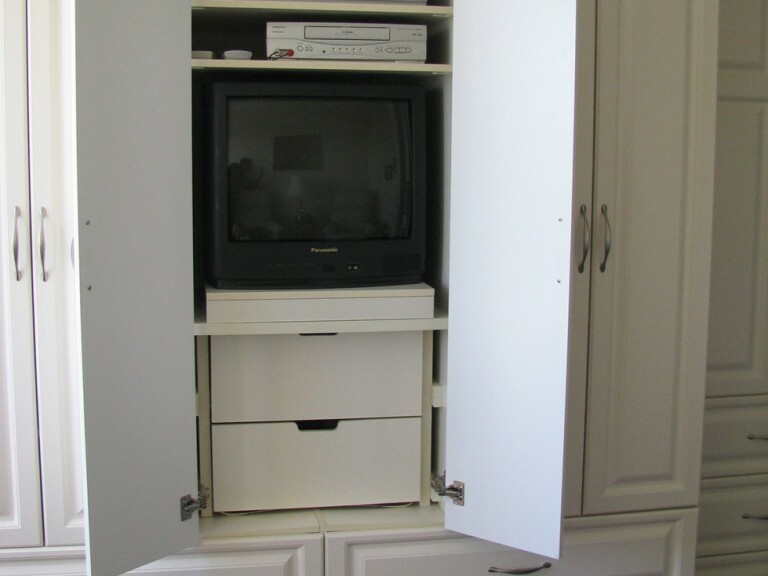 They grow from pint-sized to adult. 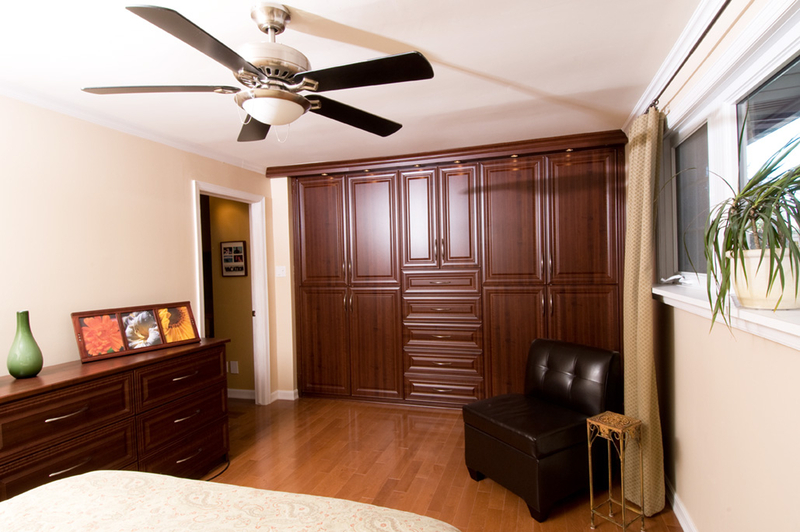 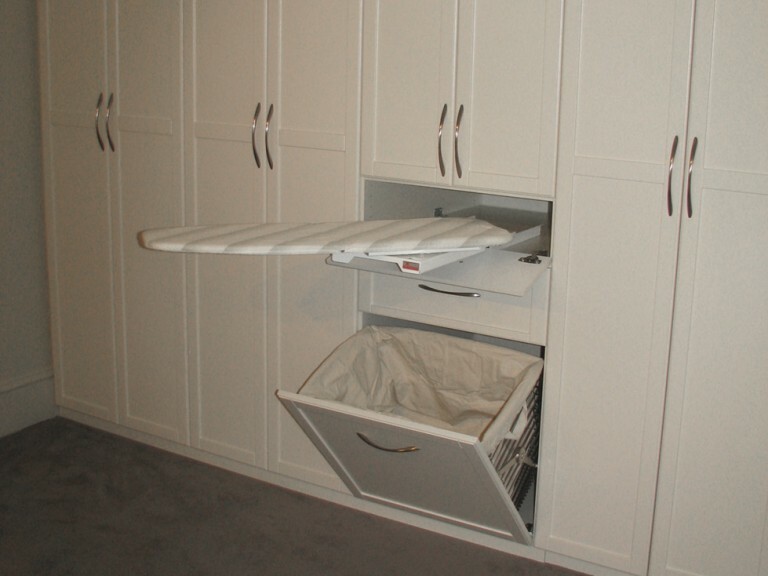 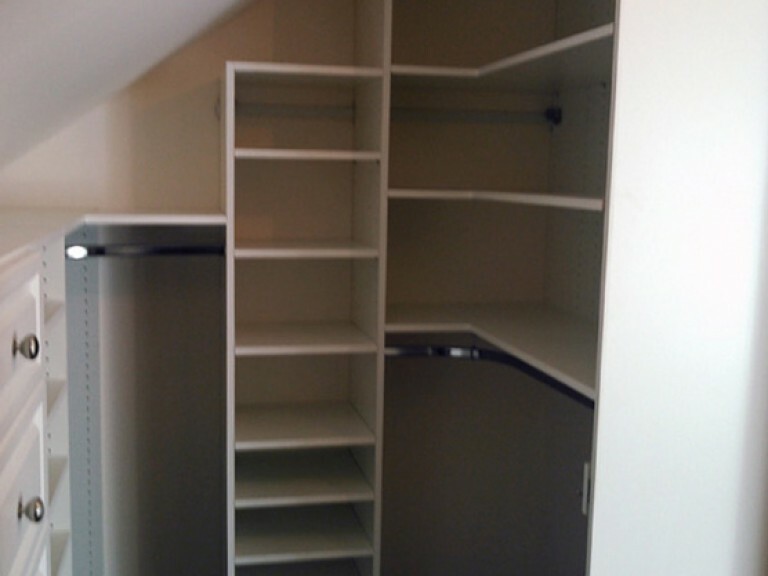 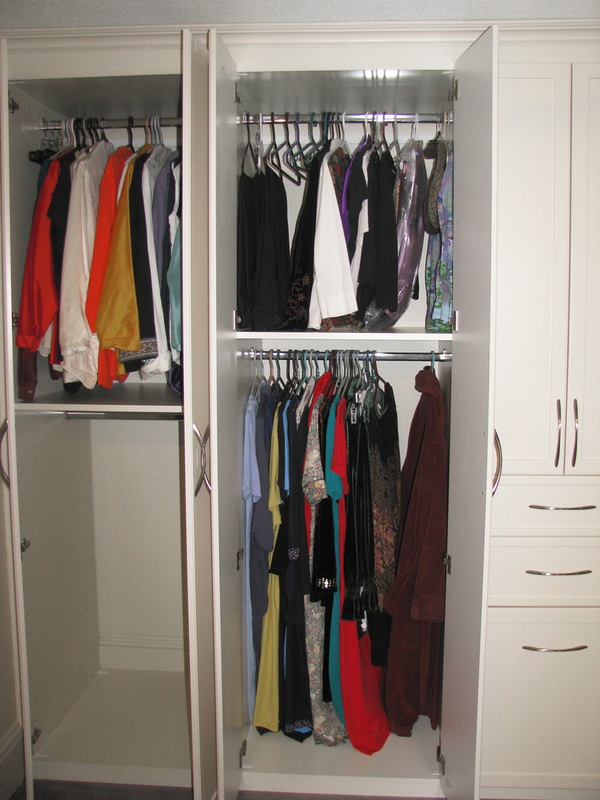 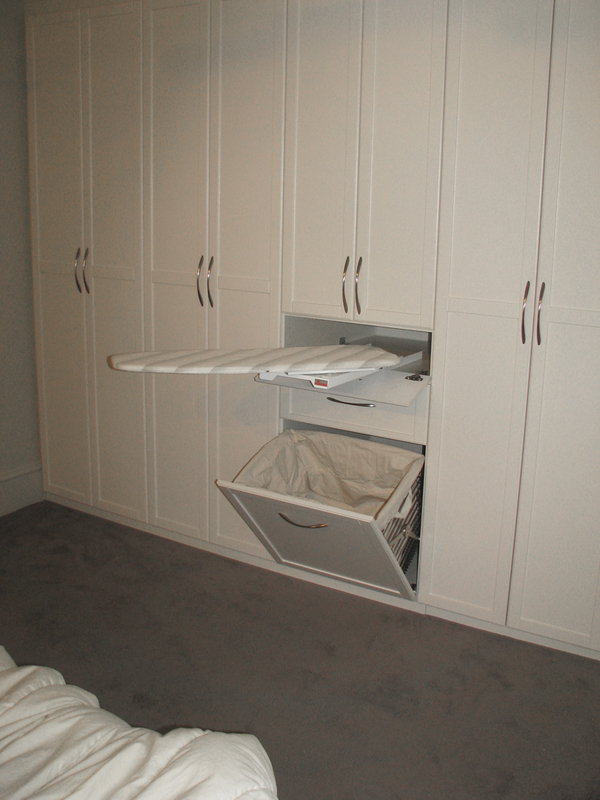 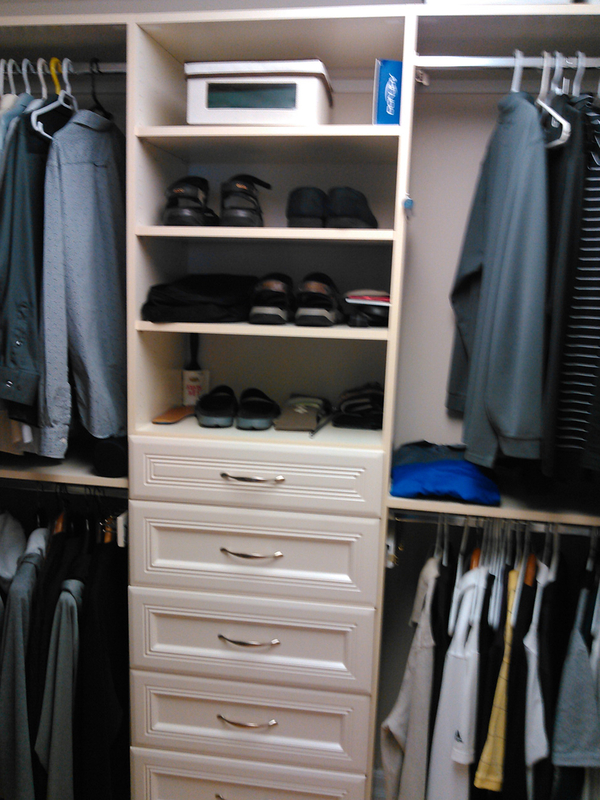 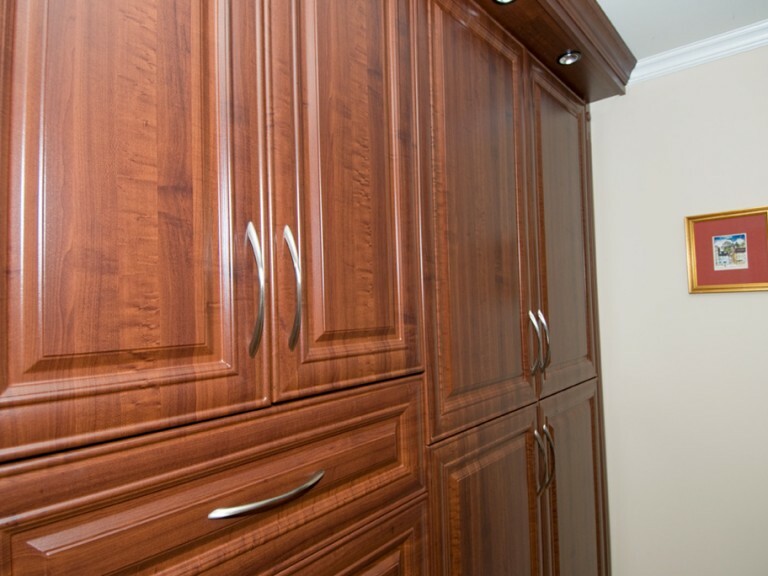 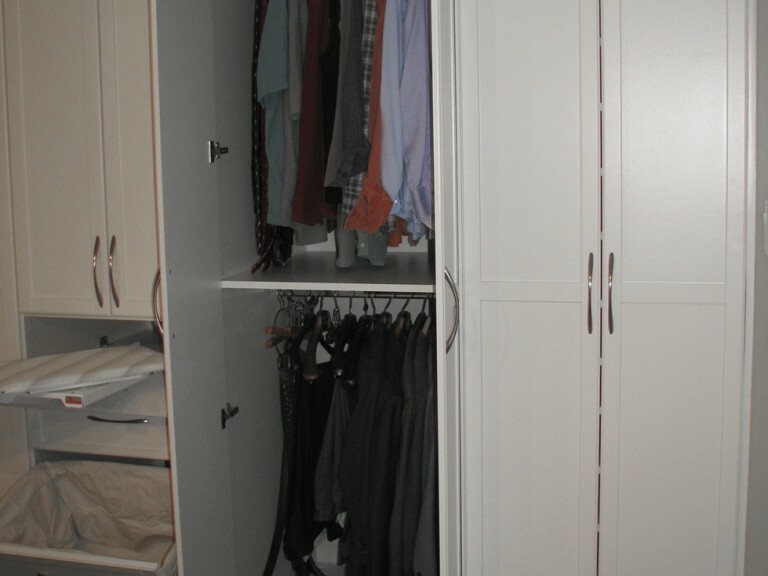 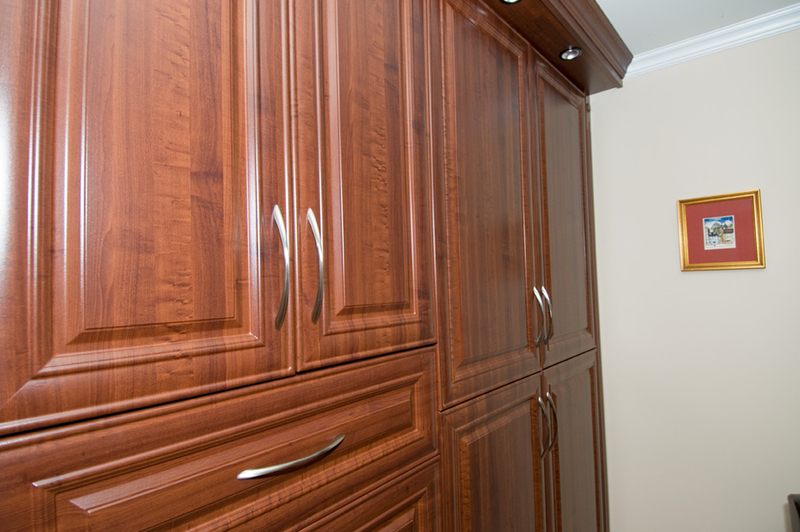 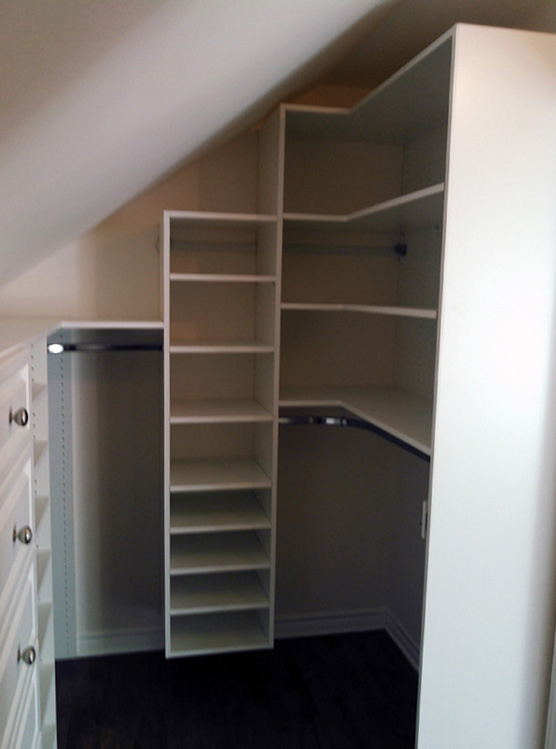 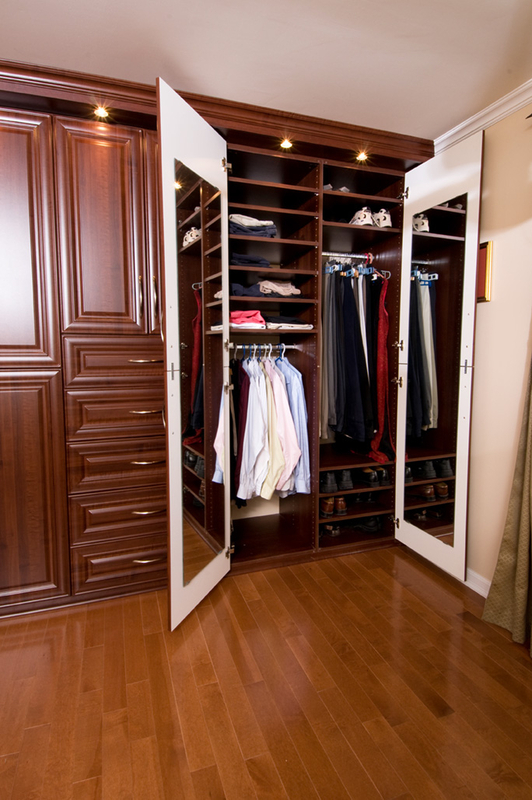 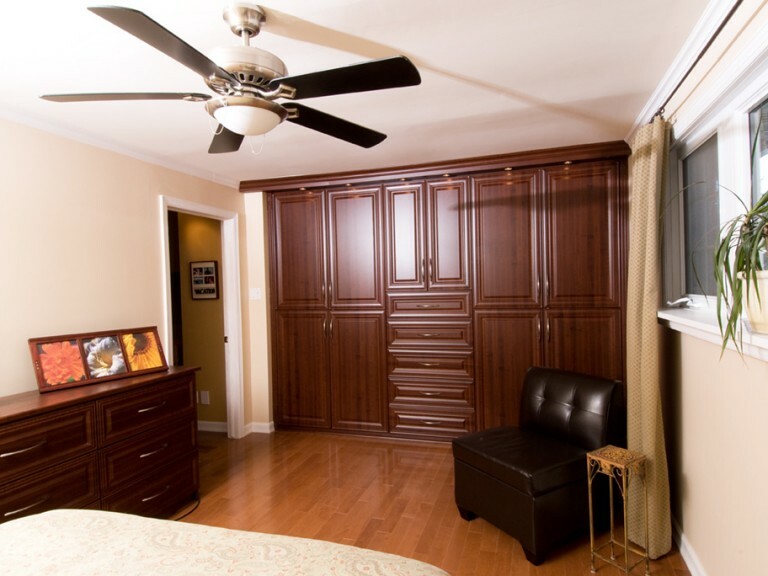 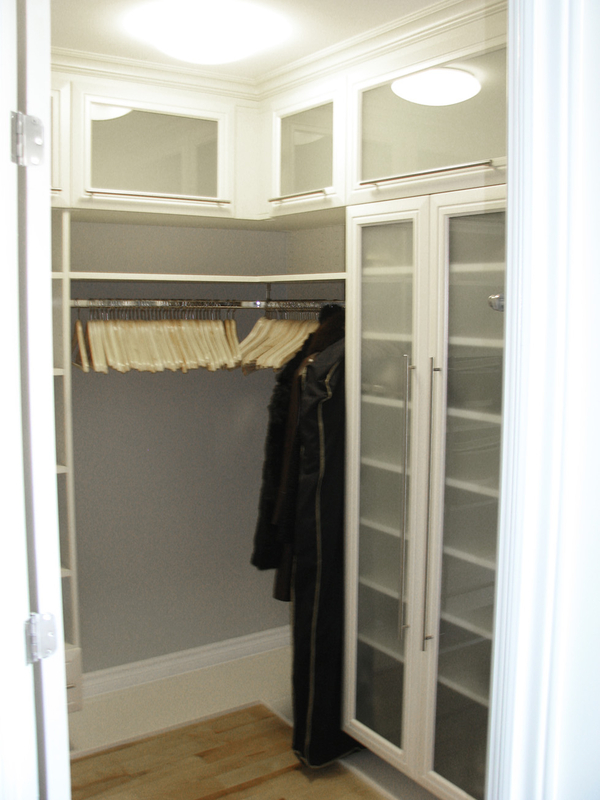 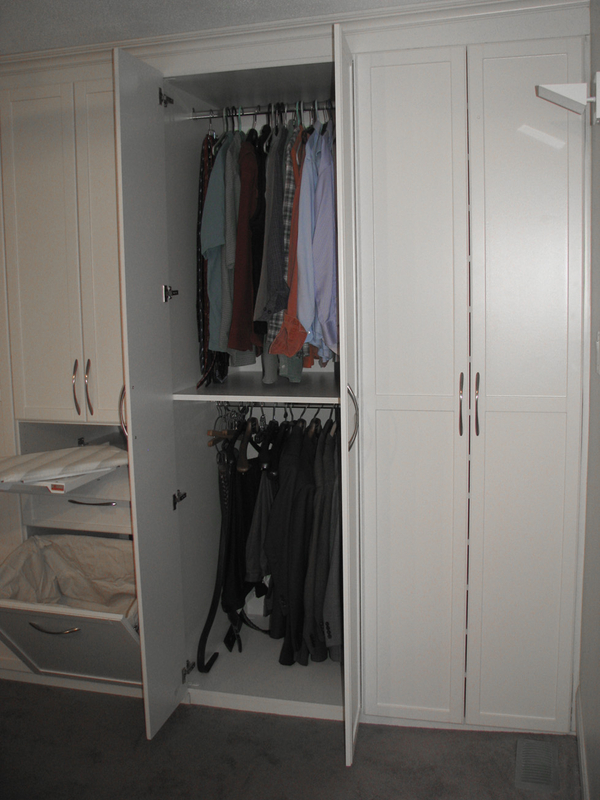 Their closet therefore, should be designed and built such that it easily accommodates their evolving needs. 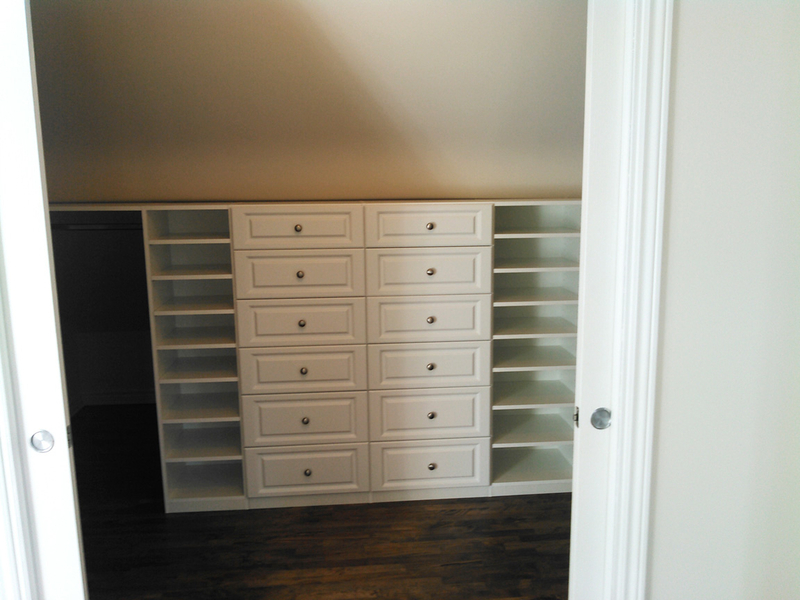 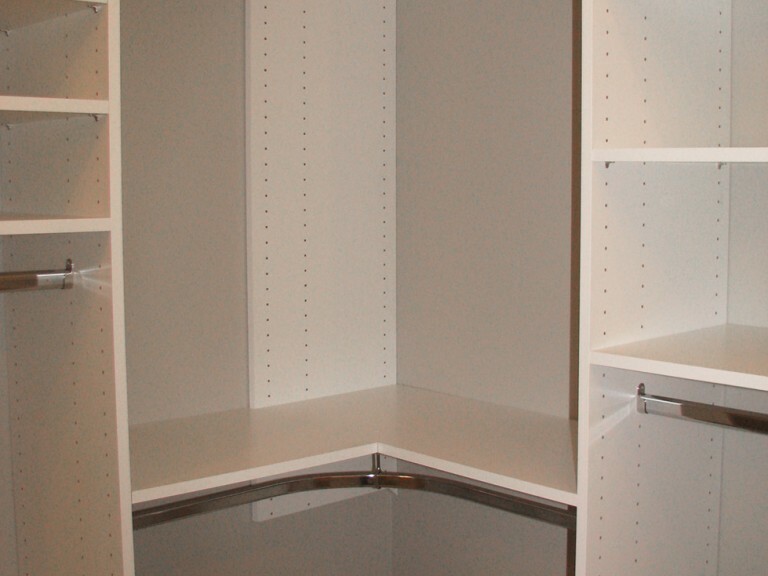 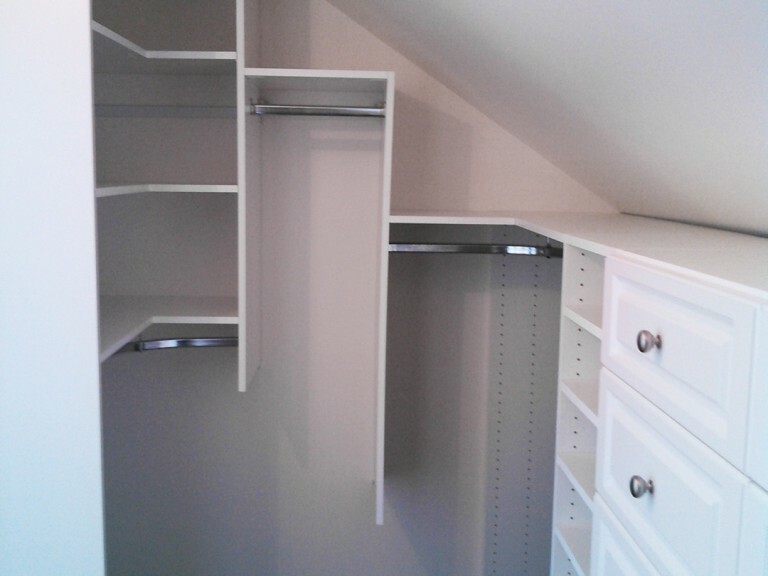 Regardless of the closet type, we build closets and spaces for children that easily grow with them. 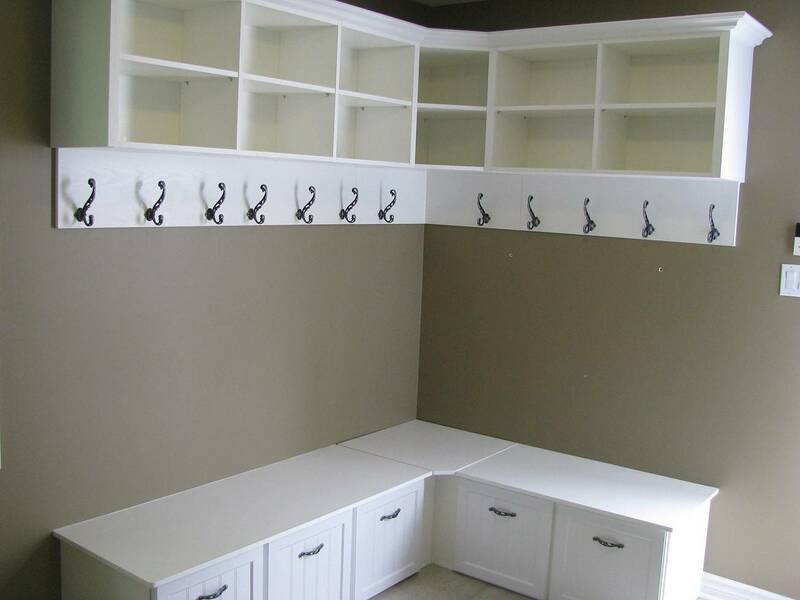 Mudrooms are another space in the home that greatly benefits from being well organized. 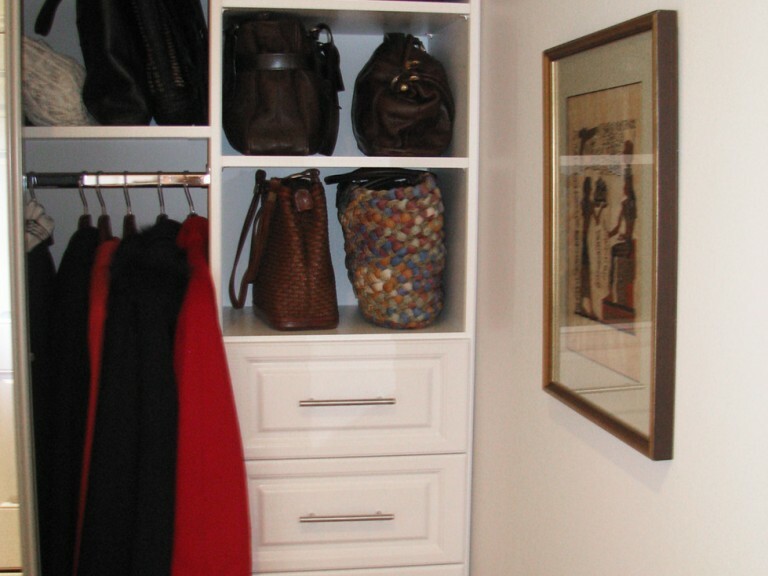 When family members come in from the outdoors with muddy boots, umbrellas, wet jackets, snow-covered parkas, kids with bookbags and lunch boxes, this is a great room for them to leave these things before they walk into the living area of the home. Things like hooks and bars for hanging, benches on which to sit to put on/take off shoes, a place to hang keys, etc., all help make this space a very practical and useful one.